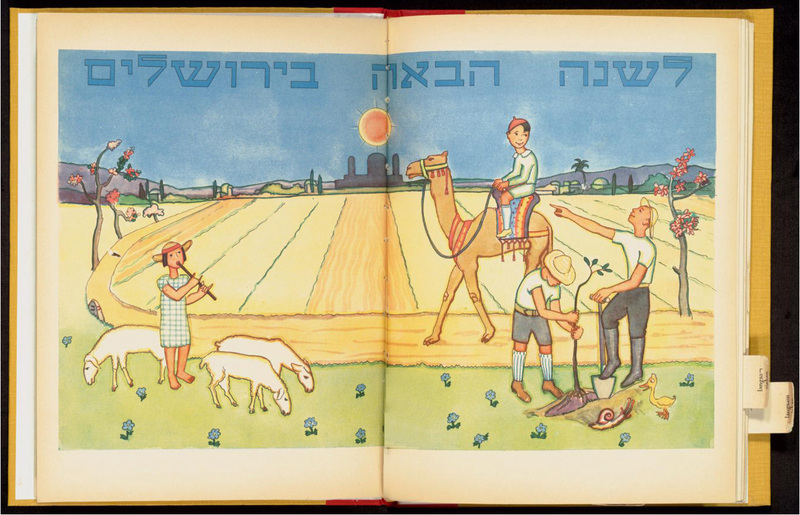 In observance of Passover, the Leo Baeck Institute will close early Monday, April 14 at 2:00 pm and will remain closed Tuesday, April 15 and Wednesday, April 16. 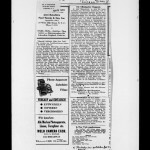 We will again be closing early at 2:00 pm Sunday, April 20, and will remain closed Monday, April 21 and Tuesday, April 22. 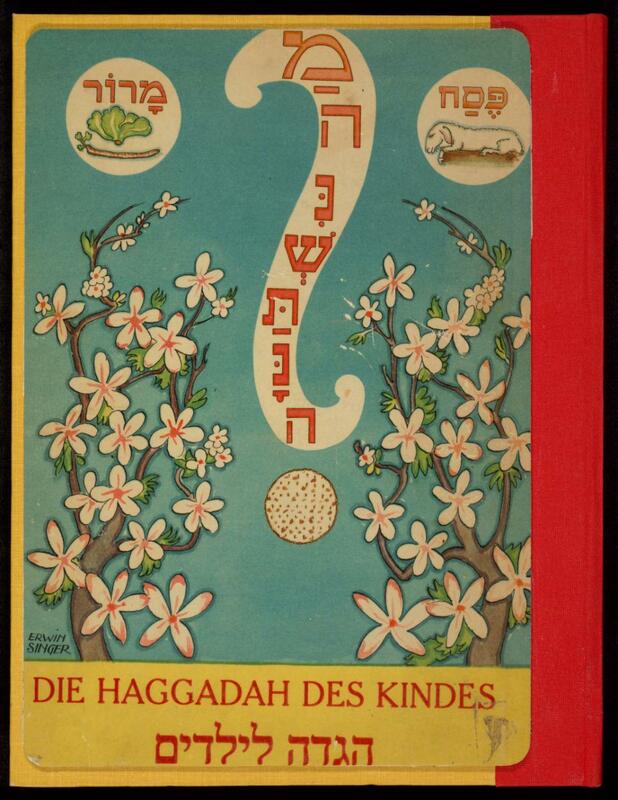 The staff at LBI wishes a good holiday to all and presents highlights from of our collection of Pesach Haggadot. 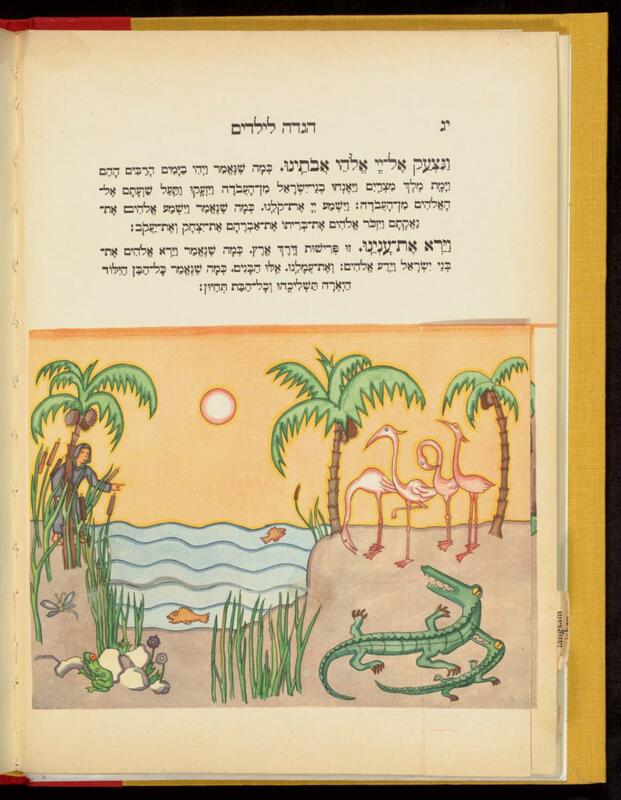 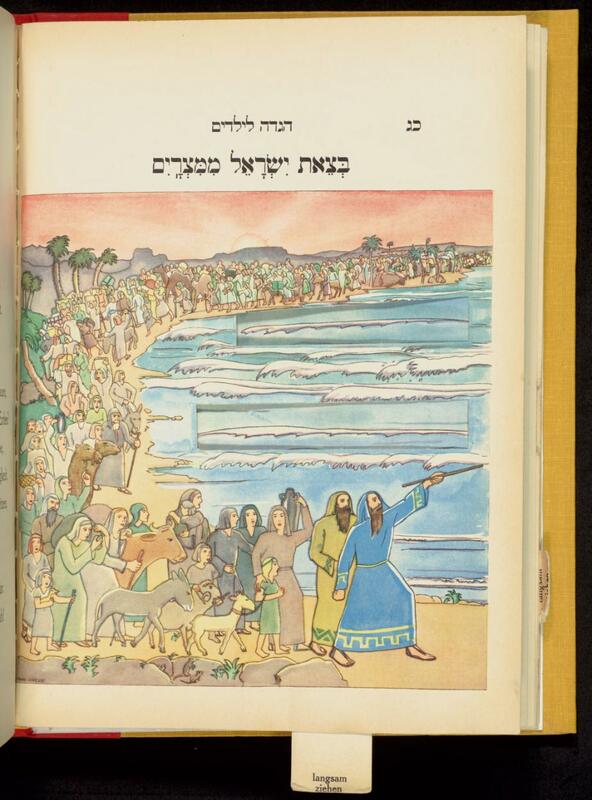 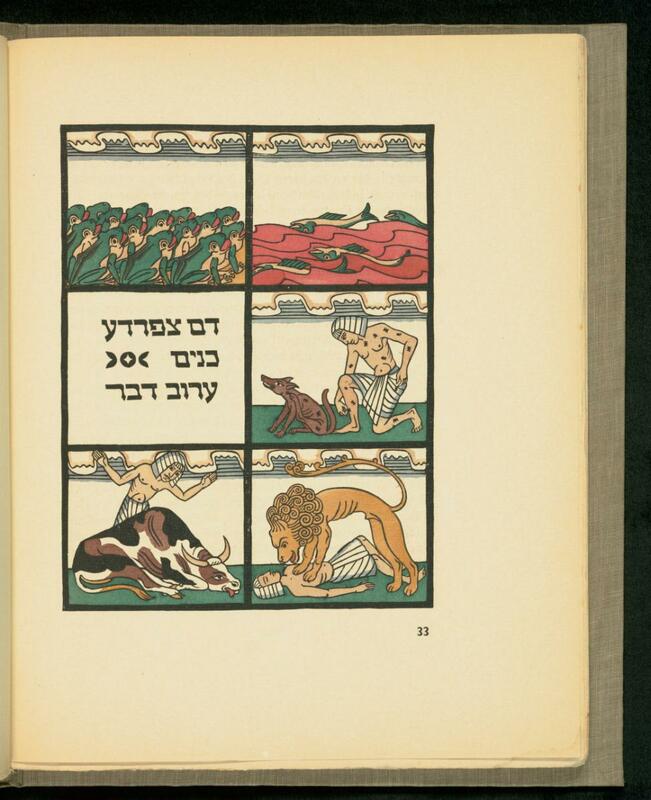 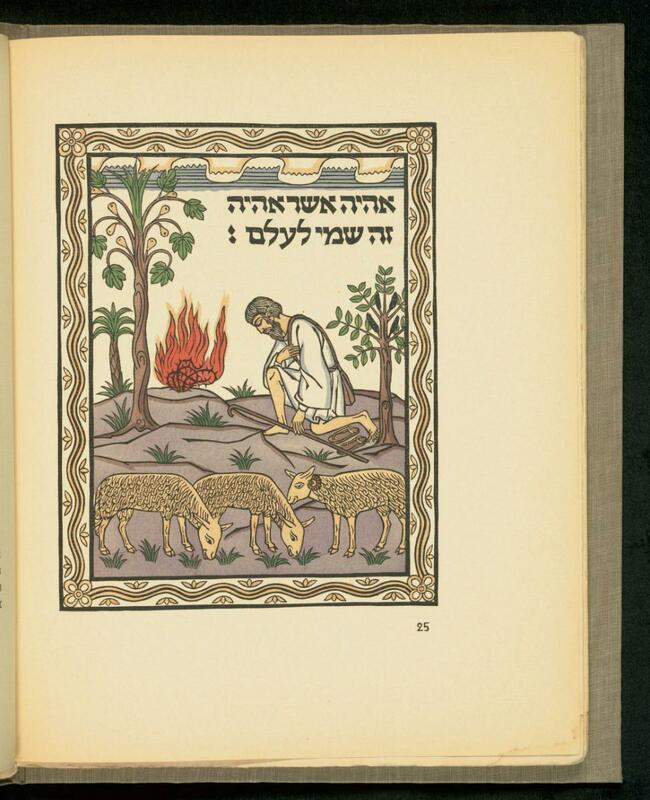 AM Silbermann and Emil Bernhard Cohn edited this “Children’s Haggadah” in Berlin in 1933. 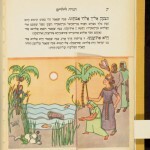 Intended to involve children in the seder, it features “moving picture” illustrations by Erwin Singer. 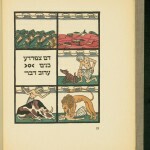 Children are invited to “pull slowly” on tabs connected to inserts in the illustrations, which move to reveal hidden elements of the pictures. 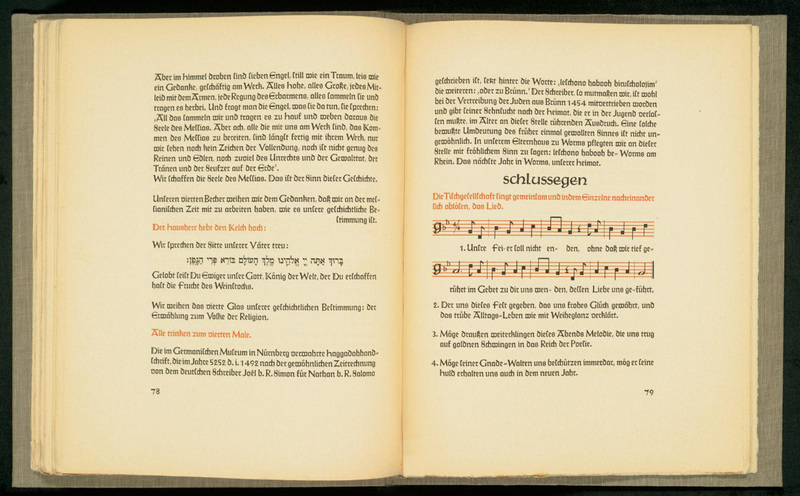 The book also contains songs by the composer Arno Nadel (who served as Choir Director of the Jewish Community in Berlin) and other contemporary artists. 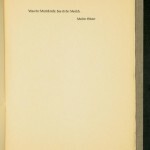 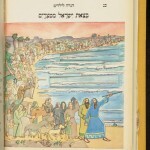 The entire book has been digitized and can be viewed online. AM Silbermann and Emil Bernhard Cohn edited this “Children’s Haggadah” in Berlin in 1933. 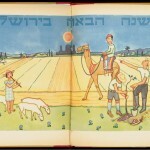 The final illustration, with the title “Next Year in Jerusalem”, is an idyllic scene of children on a farm in Palestine. 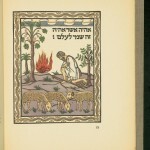 Emil Bernhard Cohn whose son, Rabbi Bernhard Cohn, was for many years the Rabbi of Congregation Habonim in New York emigrated to the United States in 1939. 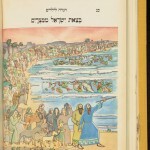 Many families still use an English adaptation of this book. 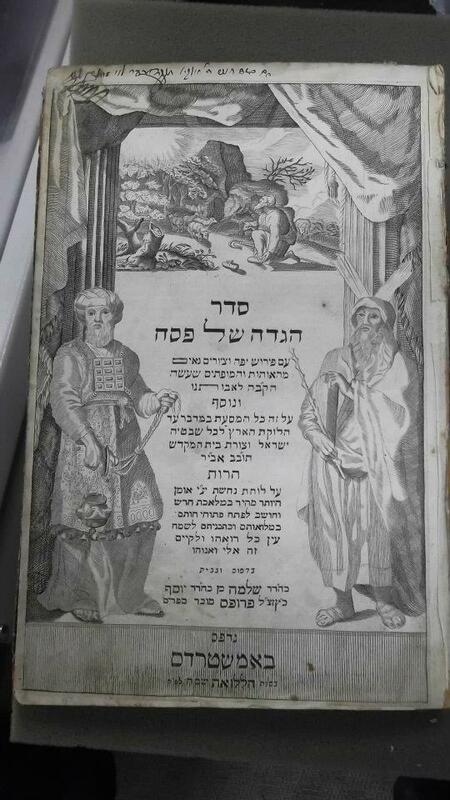 This Haggadah was donated to Leo Baeck Institute by Marianne Salinger. 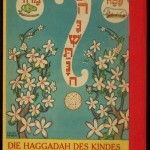 Hagadah le-Yeladim or Haggadah Des Kindes, edited and translated by A.M. Silbermann and Illustrated by Erwin Singer. 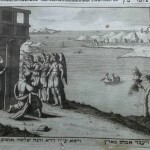 A Levite woman hiding near the water. 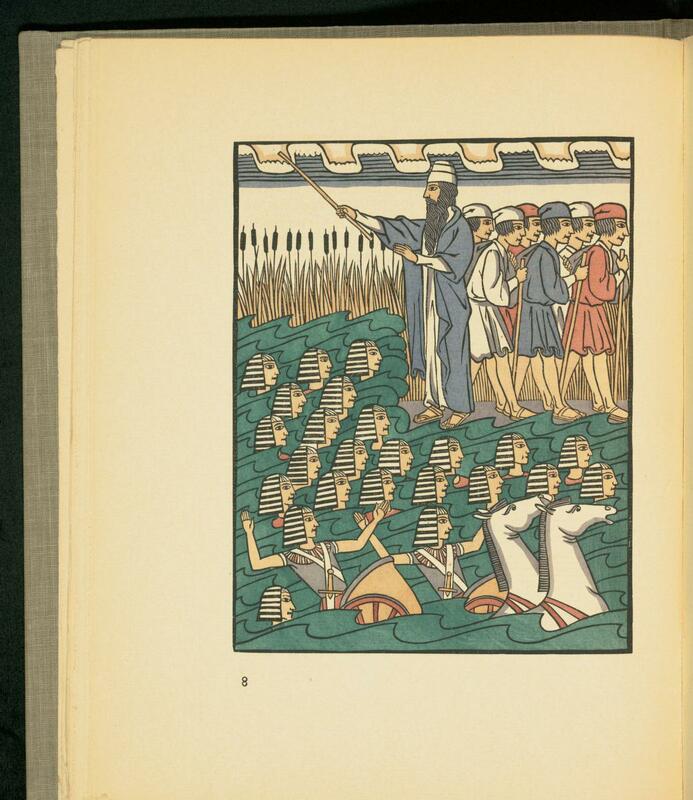 Pharoah’s daughter discovers a child floating on an ark of rushes. 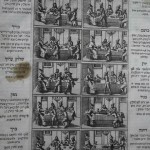 The wheel in the center of the page turns to reveal slaves being whipped while performing various tasks. 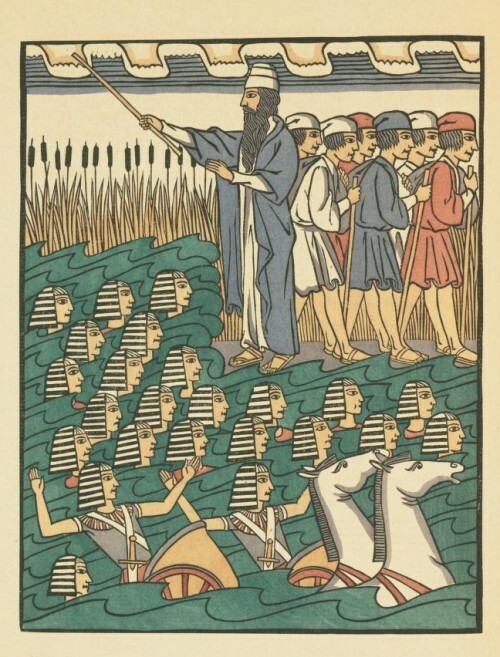 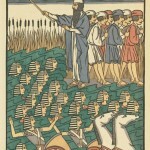 Pharoah’s soldiers enter the Red Sea in pursuit. With the flap extended, the Pharoah’s soldiers are swallowed by the sea. 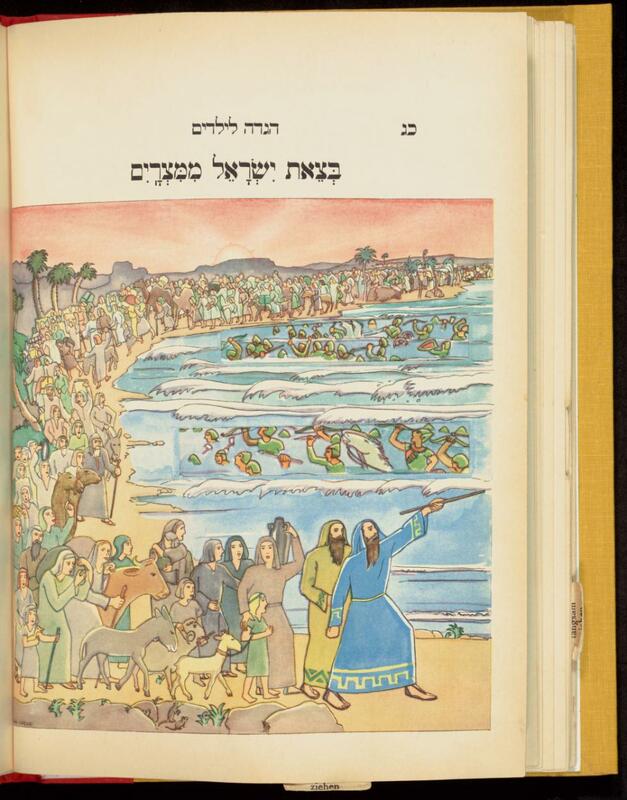 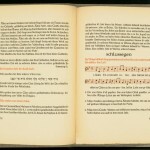 Leo Baeck Institute has digitized Siegfried Guggenheim’s archival collection, which includes extensive materials about the Offenbach Haggadah, including his correspondence with artists and designers and the original printing blocks. 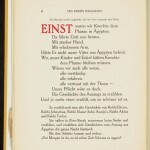 The epigraph in the 1927 edition is from Meister Eckhart, the 14th century Christian theologian and mystic. 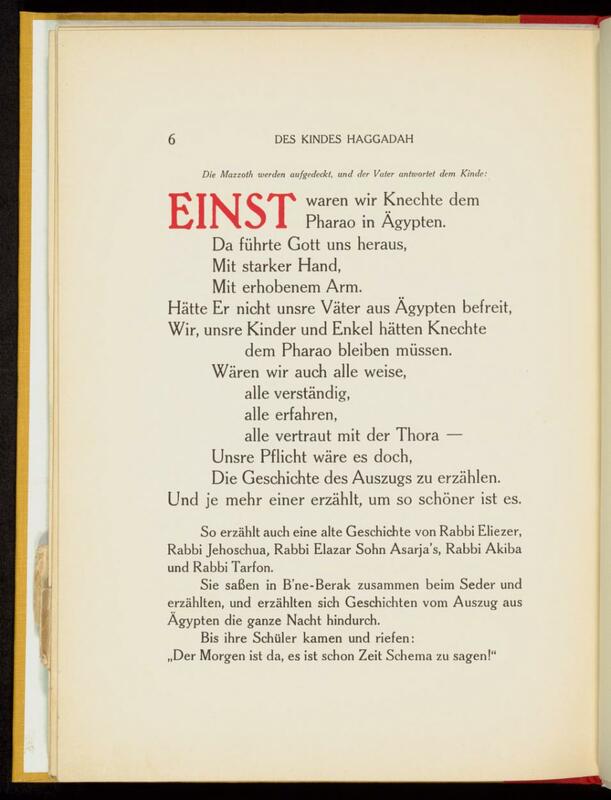 The Offenbacher Haggadah, Published by Dr. Siegfried Guggenheim, Offenbach am Main, 1927. 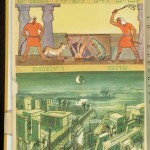 The left page of the spread depicting the plagues. 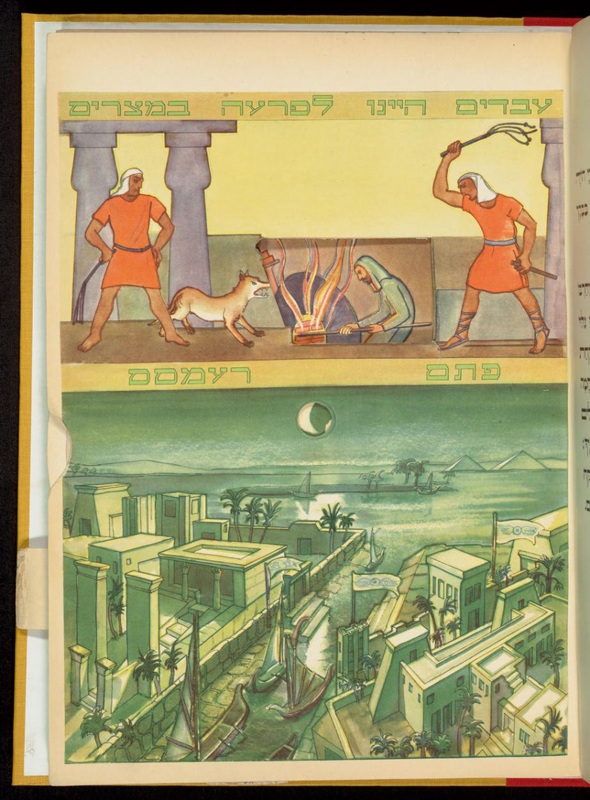 The right page depicting the plagues. 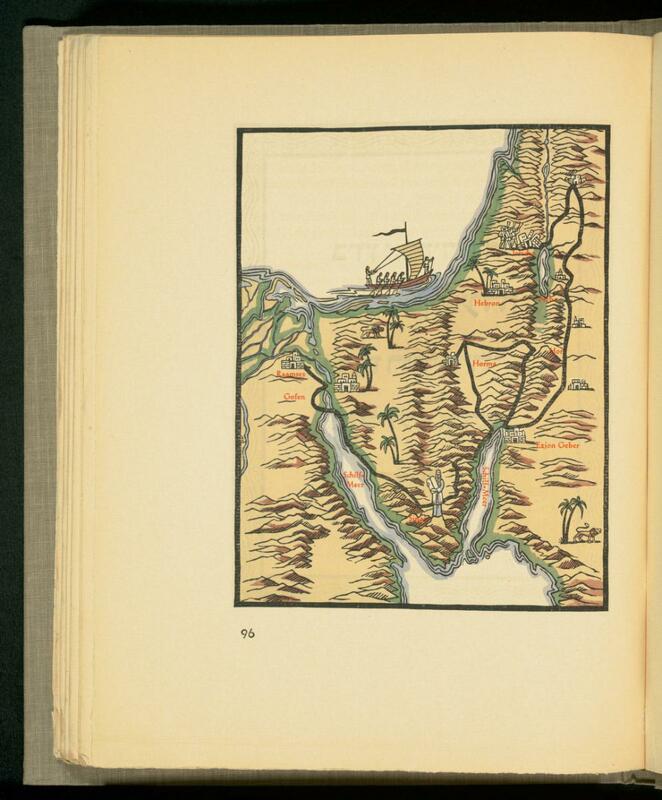 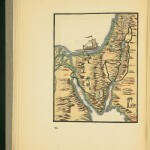 A map of the Sinai peninsula showing the route of the Israelites to Caanaan. 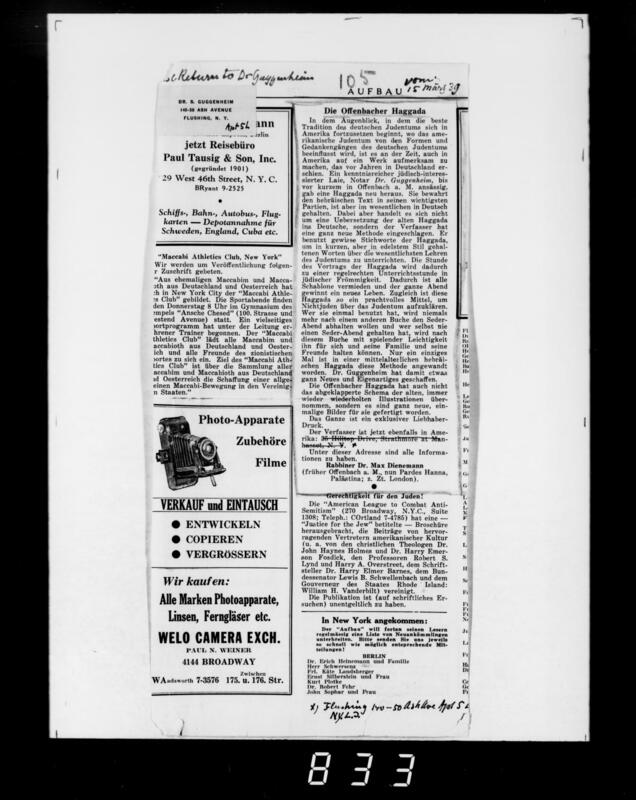 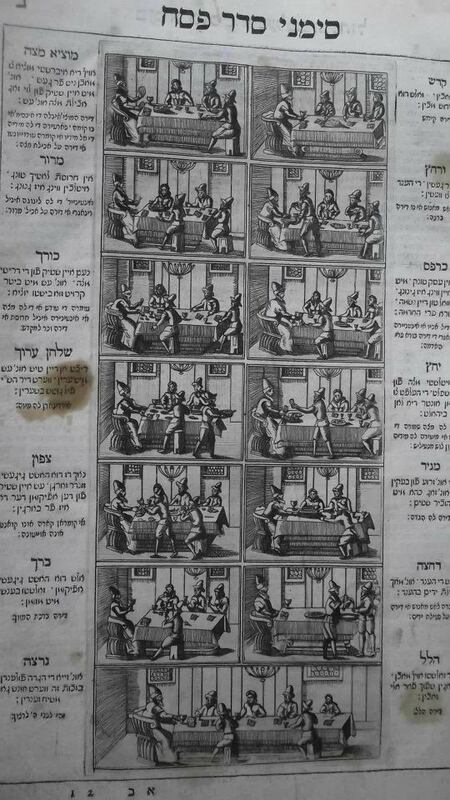 This review of the Offenbacher Haggadah in the German-Jewish exile paper, Aufbau, mentions that its publisher is now in New York. 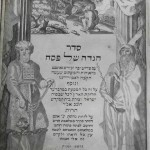 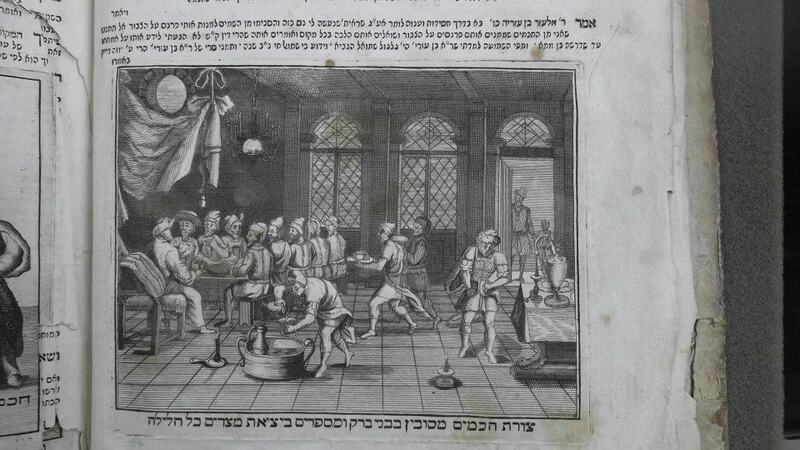 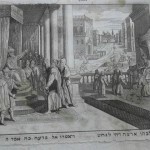 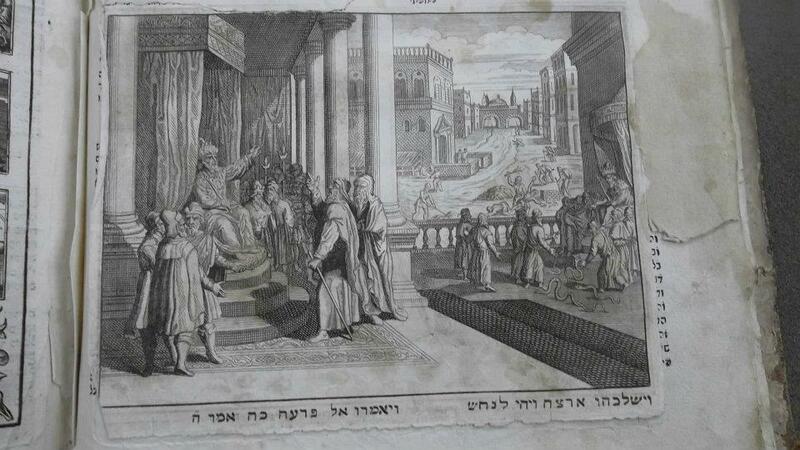 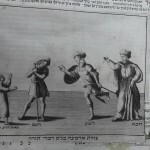 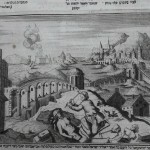 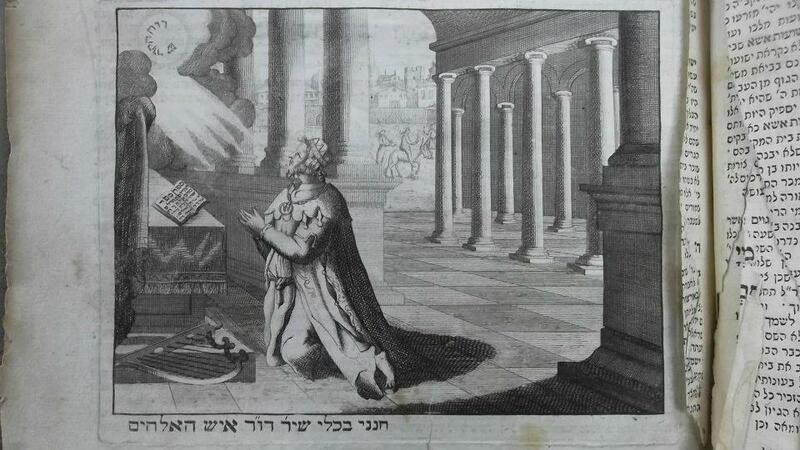 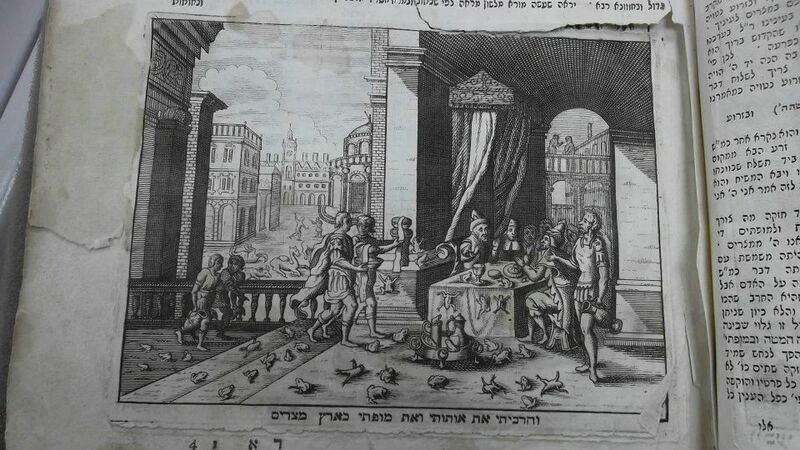 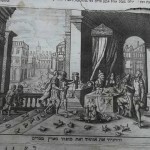 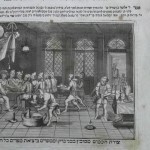 This Haggadah was published in Amsterdam around 1711. 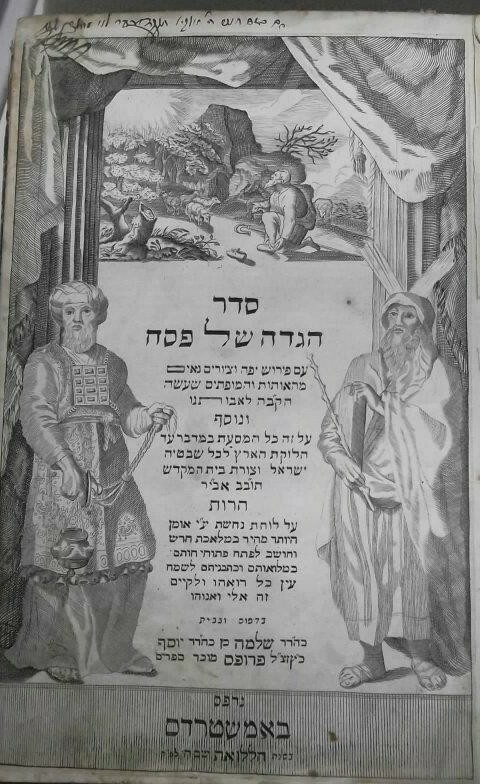 In addition to woodcut initials, this volume contains beautiful engravings illustrating scenes from the Haggadah. 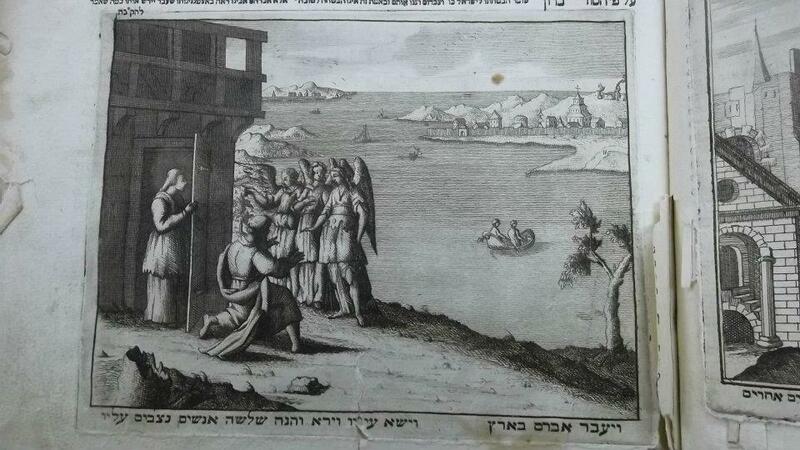 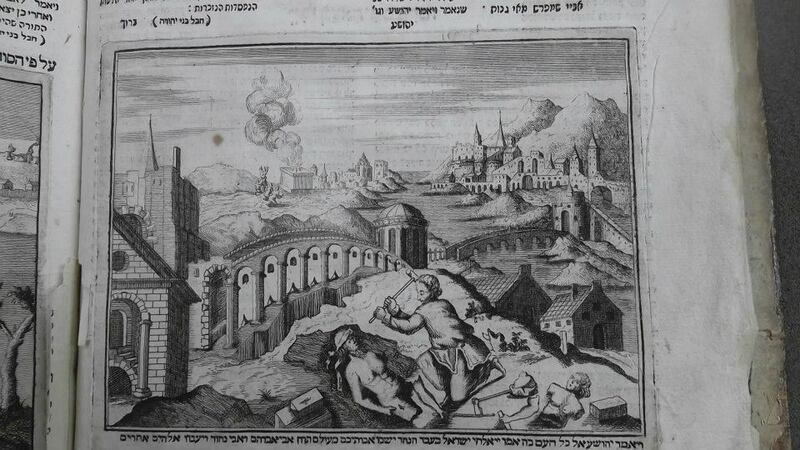 Caption and image describe Joshua warning the Jewish nation not to have other Gods, only the God of Abraham. 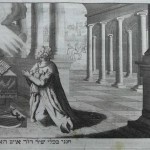 Caption and image depict King David. 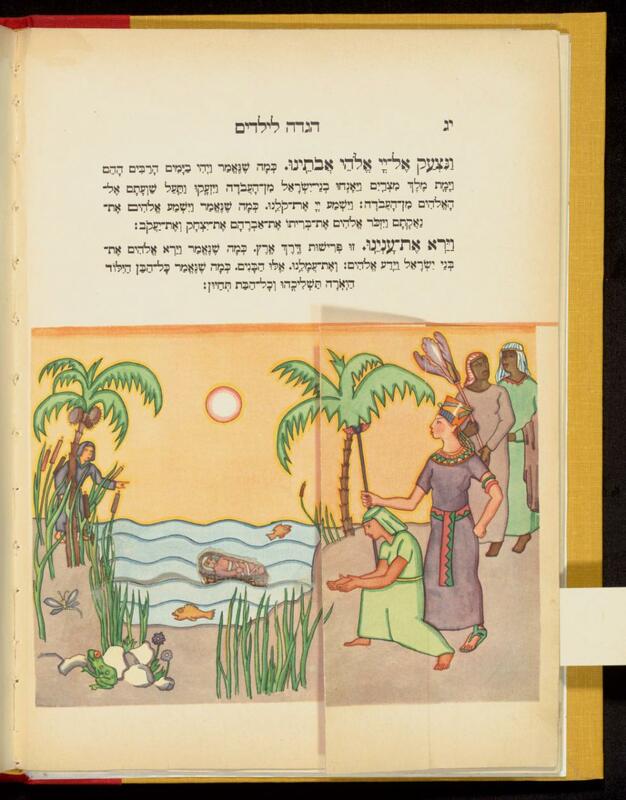 This image reflects the text of the Hagaddah which tells the story of Rabbis in B’nei Brak who stay up all night telling the story of the Jew’s exodus from Egypt. 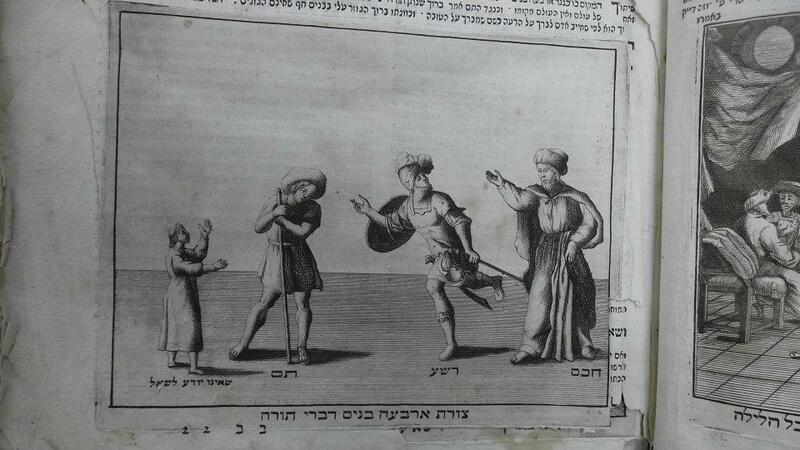 This picture depicts the four sons described in the Hagaddah.